The Miami Dolphins announced today that the team has agreed to appear on this season of HBO’s popular reality series “Hard Knocks,” which will give fans an exciting inside look at everything from the team’s front office decisions to grueling practice field drills through the first six weeks of training camp. “The series will highlight the outstanding men who comprise our team and represent our organization admirably, both on and off the field, as they compete for a coveted position on our roster,” said first-year Dolphins head coach Joe Philbin. With a revamped offense and new-look coaching staff, a three-way starting quarterback competition between Matt Moore, David Garrard and rookie Ryan Tannehill, and Reggie Bush’s quest to win the NFL rushing title, the series will have no shortage of interesting storylines from Miami. The Dolphins, coming off a disappointing 6-10 season, certainly hopes to follow in the footsteps of the last two teams to appear on the show — the Cincinnati Bengals in 2009 and the New York Jets in 2010 — both of whom reached the playoffs. Whether the decision to put Miami in front of the cameras was owner Stephen Ross’ call, as many have speculated, or came from Philbin ultimately makes no difference, as fans will get unprecedented access to their favorite team each week while the upstart Dolphins get the national spotlight over the summer. General Manager Jeff Ireland and defensive coordinator Kevin Coyle are also no strangers to the show from their stints with the Dallas Cowboys (2002) and Bengals, respectively. The first of five episodes is scheduled to air at 10 p.m. ET on Tuesday, August 7. The Miami Dolphins are hosting a kidsâ€™ summer camp, giving children a chance to enjoy a safe, fun and educational program which focuses on both sports and academics. Click hereÂ for additional information, including videos and photos from past events, and view the camp dates, times and locations below via the Dolphins. 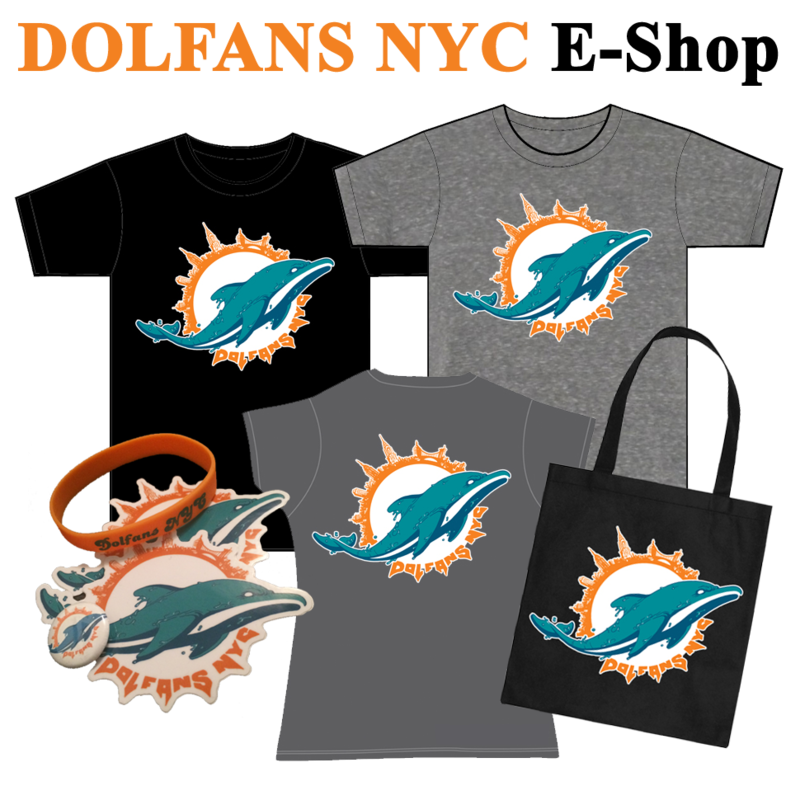 Please enter the Promotional code â€œfanclub2012â€ on the registration form to receive $25 off the price, and be sure to note that you heard about the camp from DolfansNYC. 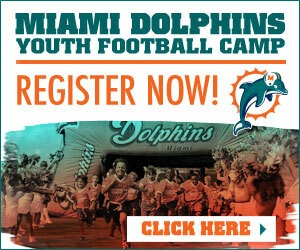 Boys and girls, ages 5-15, can participate in an interactive, week-long football experience featuring appearances by current and former Miami Dolphinsâ€™ players. The camp focuses on football training, teamwork building and the importance of education. The goal of the Miami Dolphins Football Camp is for the children to develop skills that will help them succeed on and off the field. Girls, ages 5-14, learn from the pros! In a non-competitive environment, these little ladies will learn dances and cheers, and attend etiquette and glamour classes taught by both current and former Miami Dolphins Cheerleaders. Age Groups: 5-7, 8-10, 11-14. All camps are from 9:00 a.m. to 4:15 p.m. Monday â€“ Thursday and 9:00 a.m. â€“ 1:00 p.m. on Friday.